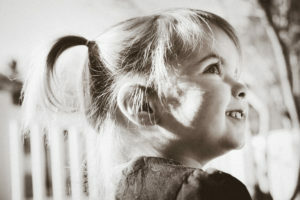 Boone United Methodist Preschool is a morning program for 2, 3 and 4 year olds. We provide experiences for children in an environment which encourages the child to ask questions, explore, experiment, make friends, and be aware that every person has value as a child of God. 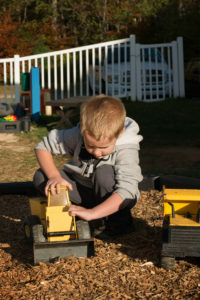 Our program includes a balance of guided play activities, creative art, outdoor play, stories, dramatic play, science, group activities and more. Our Parents Morning Out Program is intended for children who will be one year old by August 31st. It is designed to allow parents to begin the separation process with their children in a safe, clean, caring and stimulating environment. 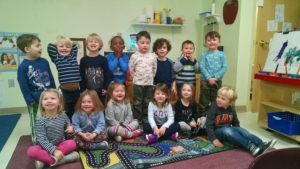 The Boone United Methodist Preschool Transitional Kindergarten program is designed to meet the needs of children who have reached kindergarten age and would benefit from an additional preschool year before kindergarten. It does not replace kindergarten, nor does it question a child’s intelligence. We believe that because children are unique and reach developmental milestones at different rates, chronological age is just one factor in determining whether a child is ready for kindergarten. The school year for our preschoolers runs from September to May. Our hours are 9:00 a.m. until 12:00 noon, Monday through Friday. A Lunch Bunch program is offered to children in the 3, 4 and TK classes. Children can bring their lunch and stay until 1:00 p.m. for an additional fee. We use weekly themes to teach age appropriate skills, and we incorporate Christian values in our daily lessons. As a school committed to using developmentally appropriate practices, learning experiences are meant to match the child’s developing abilities, as well as to provide challenging opportunities. 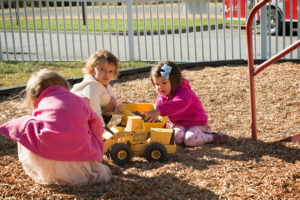 Social skills are nurtured throughout the preschool day. God sees us all of the time. Jesus taught us about God’s love. The Bible is the book of our faith. Children must be the class age by August 31st. It is expected that 3’s and 4’s will be toilet trained. Every child must have a physicians health form and certificate of immunization on file by at least 30 days after enrollment. Each preschool classroom is staffed by 2 adults‐a lead teacher and an assistant. Boone United Methodist Preschool staff is committed to providing a safe, nurturing learning environment for your children. Our goal is to guide and encourage your child to learn to love and to love to learn. Each lead teacher has a degree in education or a field related to child development and has experience in teaching. Our staff members receive continuing education each year. Each staff member is CPR/First Aid trained and has undergone a background check prior to hiring. We follow the Safe Sanctuary guidelines set forth by the United Methodist Church. Time to enroll for BUMC Preschool! BUMC Preschool and Parent’s Morning Out will be open for registration for the 2018-2019 year beginning February 26th for currently enrolled families, March 3rd for church members and March 5th for the community. Classes are available for children ages one year through five years. Registration forms are available from the church office, the preschool office, or by clicking here. If you have any questions, please feel free to call the Preschool office at 828-264-6092. For more information, please contact Boone United Methodist Preschool at 828-264-6092.